Every now and then I try to explore places in London I’m not that familiar with – it helps me to step out of my comfort zone and also makes me feel so proud to call this city my home. Even though I’m a big fan of routine, and even though I like finding my own little favourite places in the city where I return time and time again, every now and then it’s important to mix it up a little bit too, to remind yourself why you moved (or continue to live) here in the first place! To not get stuck into a loop (this is especially important for as a 9-5 worker like me!) and repeat the same things day after day. So, last weekend I went and explored Dalston and Stoke Newington with the help of my North London friend, Sandra. We walked around a lot, stopping to eat, drink & shop as much as we could. 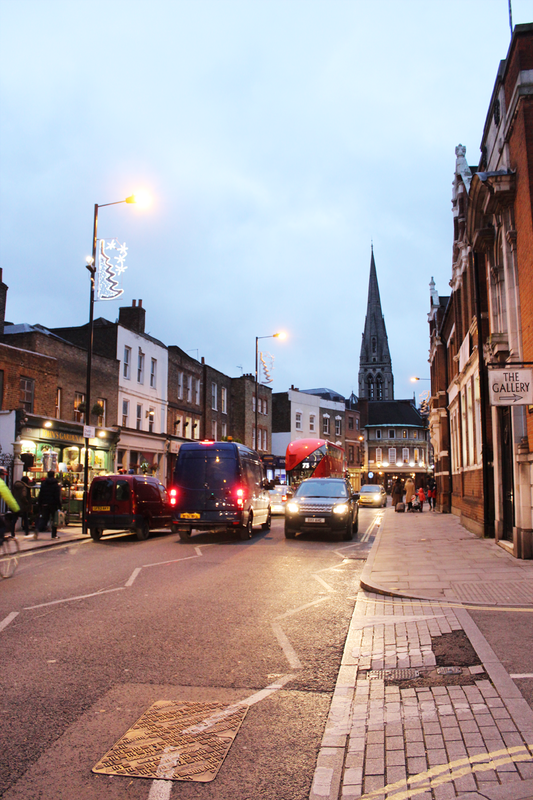 I think my favourite bit of our walk was Stoke Newington Church Street (such a mouthful, I know! ), maybe because it felt kind of bohemian with all it’s colourful shop fronts, flower shops and green grocers – in other words, it really felt like a nice community and a place that would be a great place to set up a home (I imagine!). The pink restaurant in the above picture is called Rasa and it’s a vegetarian South Indian restaurant. Sadly, I’ve never been, but look forward to visiting very soon as I’ve only heard good things about it! If you ask me it’s absolutely possible to while away an entire day on this street – it’s got it all! Start with breakfast or brunch in the aptly named The Good Egg which serves, in their own words, New York and Middle Eastern influenced dishes all the way from breakfast to dinner and drinks. Their menu changes with the seasons but you can check their website for some sample menus. Looks pretty yummy, right? As you can probably guess, you’re also pretty spoiled for lunch and dinner options. The only one I’ve personally tried (so far!) is Trattoria de Luigi which was absolutely wonderful. It’s a small and cosy restaurant run by amazing staff who truly make you feel at home – we were brought fresh bread and oils to start our meal with and after eating we got a complimentary shot of limoncello! That’s the kind of hospitality that doesn’t happen in a lot of restaurants anymore. Other places that I’ve heard good things about but have yet to visit myself are the aforementioned vegetarian Indian restaurant (definitely at the top of my list!) Rasa and a traditional English pie and mash restaurant Fox and Pie – I’ve never had a traditional English pie so I can’t wait to visit this place to get in on the action! There’s also lots of great pubs dotted around the street for a pre or after dinner drinks, from which I’d definitely recommend the Three Crowns which is a massive but still cosy pub in the corner of the high street and the Church Street. They also have board games and food too, so really, you’re sorted for the entire evening if you head here. 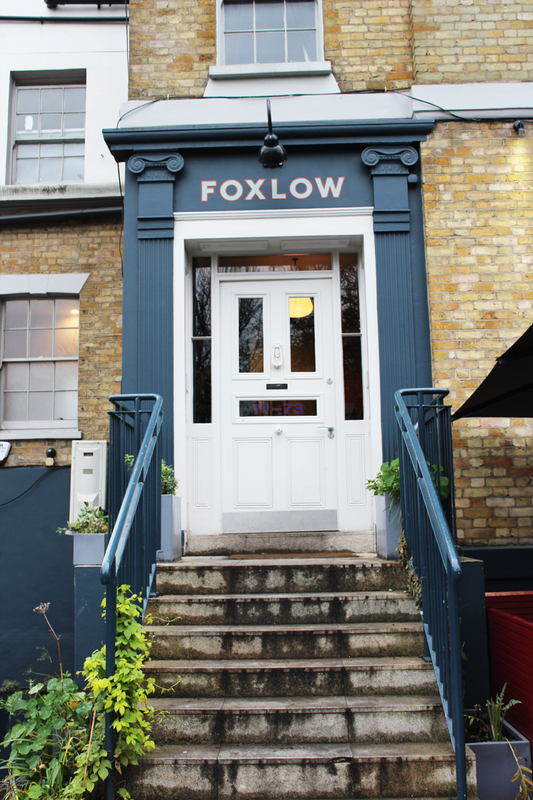 Other great options are the more quiet and modern Foxlow on 71-73 Church Street and the cute Stoke Newington Tea House (I’ve only walked past this one but it looks super cosy!). So many places to discover – so little time!